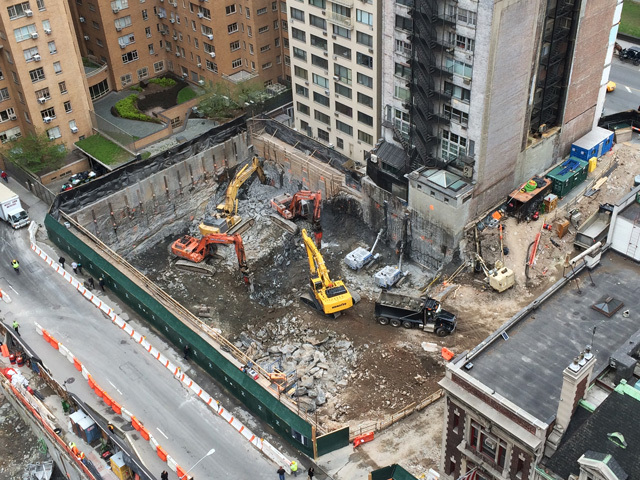 Excavation is making major headway at 217 West 57th Street and 220 Central Park South, which are being developed by Extell and Vornado, respectively. The towers are situated across the street from one another, making for an impressive amount of construction in a very confined area. The Nordstrom Tower’s architects are Adrian Smith + Gordon Gill, while 220 Central Park South’s architect is Robert Stern. 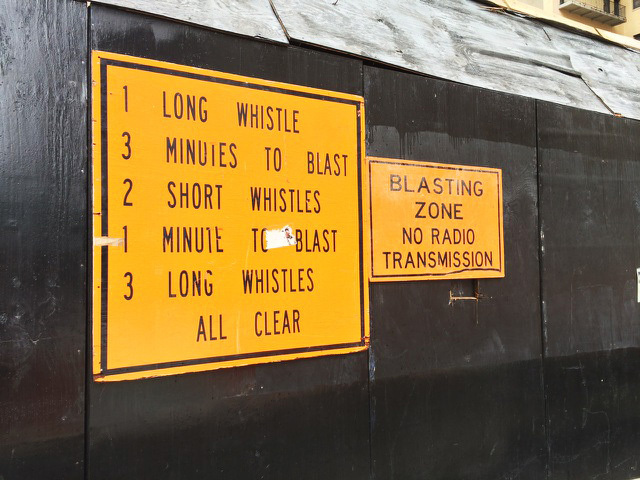 Besides the equipment on-site, blasting is also underway for 217 West 57th Street, with regular explosions carving out the bedrock underneath the site; given the tower’s pit will eventually reach 80 feet below street level, a significant amount of work remains before normalcy can resume. 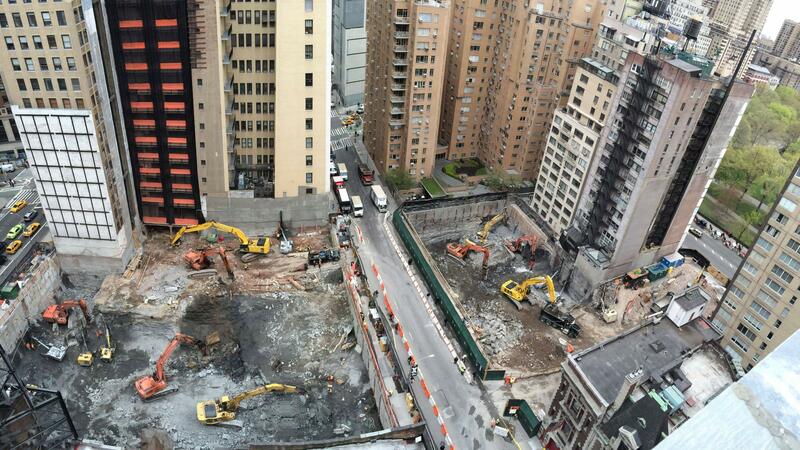 In the race to the bottom, it seems as though 220 Central Park South has the advantage, given its smaller overall scope. 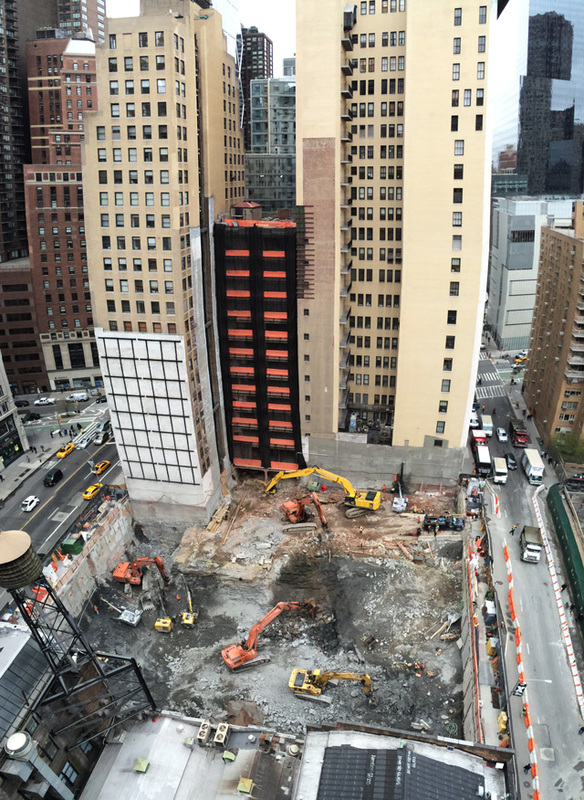 New documents filed with the DOB shed additional light on 220 Central Park South, confirming the smaller portion of the development — which will be situated on Central Park South, while the ‘tower’ will be located on 58th Street — will stand 15 stories. The building will share many characteristics with its distantly catty-corner neighbor at 15 Central Park West, but the proportions at 220 are significantly more slender, and will likely lend themselves to the most expensive residences in Manhattan. 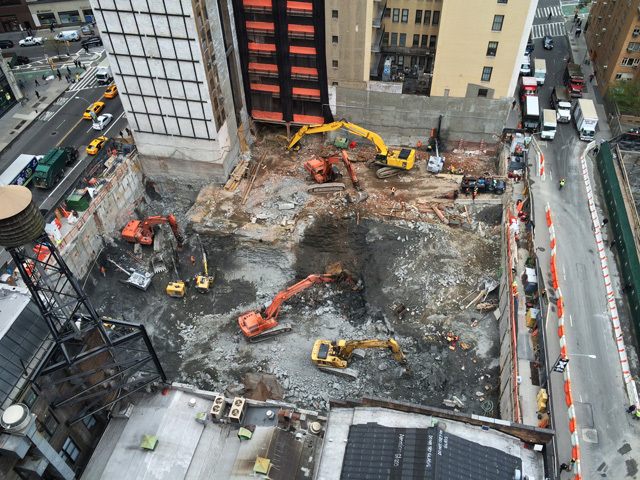 Completion of 220 Central Park South — which will eventually stand 950 feet tall — is expected in 2016, and work should wrap up on the 1,423’+ Nordstrom Tower approximately one year later.